You can enjoy far more accurate colour with Epson’s EX7240 Pro Wireless WXGA 3LCD Projector with its 3200 lumens projection. This is an easy choice for the best wireless projector. It can project a 215 to 292-inch image at the Epson’s native 16:10 ratio in theatre-dark lighting. I have tried it in every possible lighting effects and it still gives brighter image. Around 8 to 12 feet projection distance will work out the best for you. Setting up Epson is so easy. 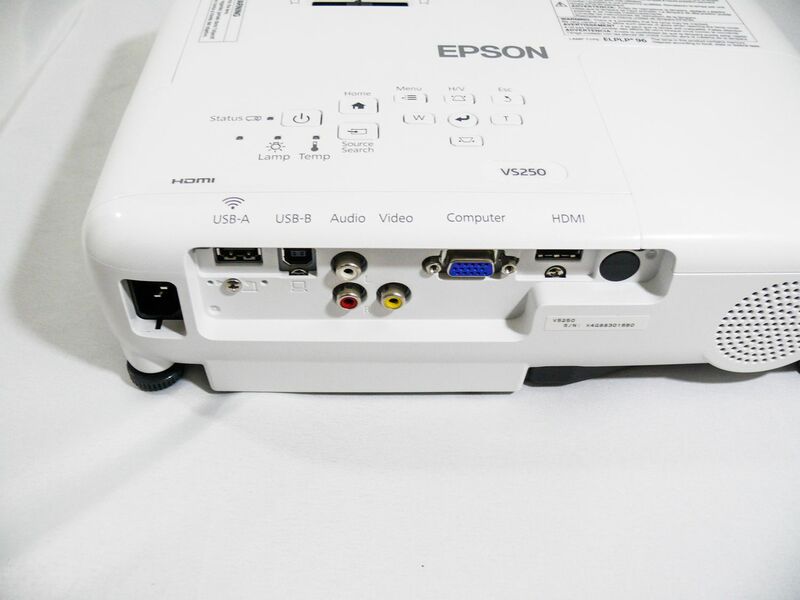 Once you plug it into the socket with your connected HDMI, even before you pull out your instructions slip, Epson would have detected your input and would already be fit to go! You will be awestruck when you get to know that Epson supports MHL-enabled devices, including Chromecast and Roku Streaming Stick.. The coolest part is the wireless connectivity Epson has to offer you with this projector. Just need to spend two minutes for setup with an on-screen QR code scanned by your phone and HDMI connectivity provides easy sync with digital and video equipment. The EX7240 lamp lasts up to 10,000 hours. The colour quality is excellent, but caution against full-length movies. Because of no full-HD option, EX7240 is more suited to video clips, pictures and TV. If good quality picture and suitable brightness, along with wireless connectivity are your main focus, the EX7240 is a fantastic solution. The only problem with EX7240 is that for connecting your smart phone or laptop wirelessly you need to download a few apps to get going. It’s quite heavy compared to the other projectors. Easy handling might be restricted because of it. If you don’t move your projector around much, then it’s not going to be a problem at all bud! The inbuilt speaker is really not worth it. But honestly we all tend to connect our projectors to our favourite sound system. So there is no worry to it. Over all it’s quite a buy! From our experience, nothing can be perfect! It all depends on your requirements and the preferences of specs each individual has. Before you narrow down your choices, you need to first make sure as to why you are getting a projector for yourself. Is it for presentations? Are you looking for a game night with your buds with some food and lots of bro love (reference: https://justinrange.com/best-gaming-projector/) ? Or you just need a life size projector to give life to your Xbox? Or you would love to curl in a blanket with some popcorn in your backyard with the family and friends you love the most? Always weigh the positive pointers with the cons before you decide on one thing. Don’t forget what the sole reason for your projector as well. Always remember that you can get the best cheap projectors and still satisfy all your requirements!